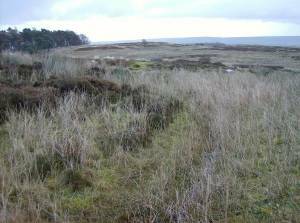 Record Name Bellerby Moor Ranges. 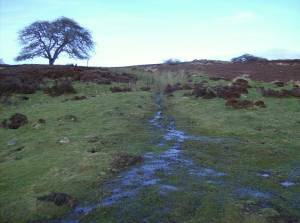 Whipperdale Bank. Burnt Mound Site 2. 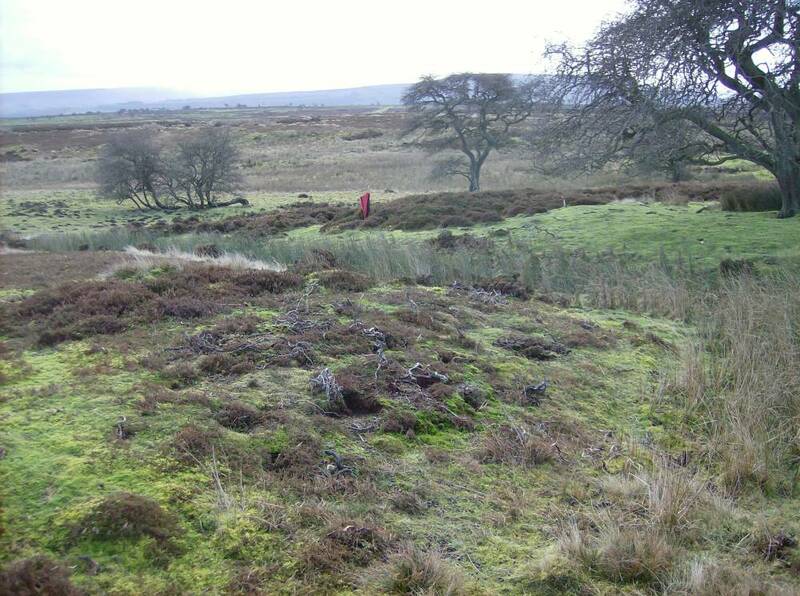 The second burnt mound to be recorded of six at this general vicinity. 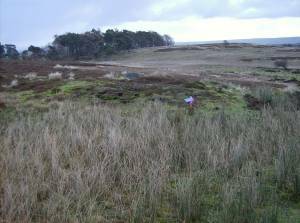 Record Description Medium sized crescentic burnt mound 7m*5m*.5m high located on east bank of small stream at top of slope. Close to proposed new Army Range. 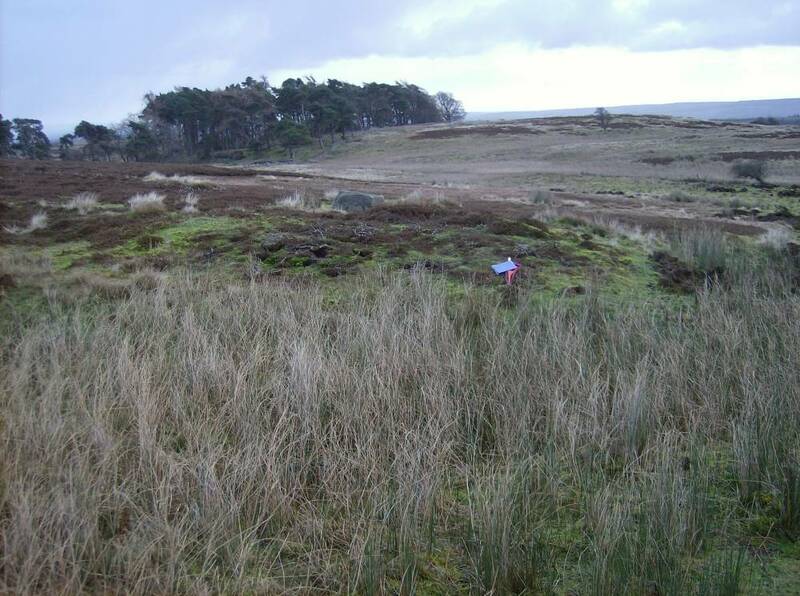 Additional Notes These sites on Bellerby Moor were recognised subsequent to and are additional to those listed in the gazetteers attached to Laurie 2003 and Laurie2004. Image 3 Description Bellerby Moor Range. Whiperdale Bank Burnt Mound Locations of Site 2 and 3 from below. 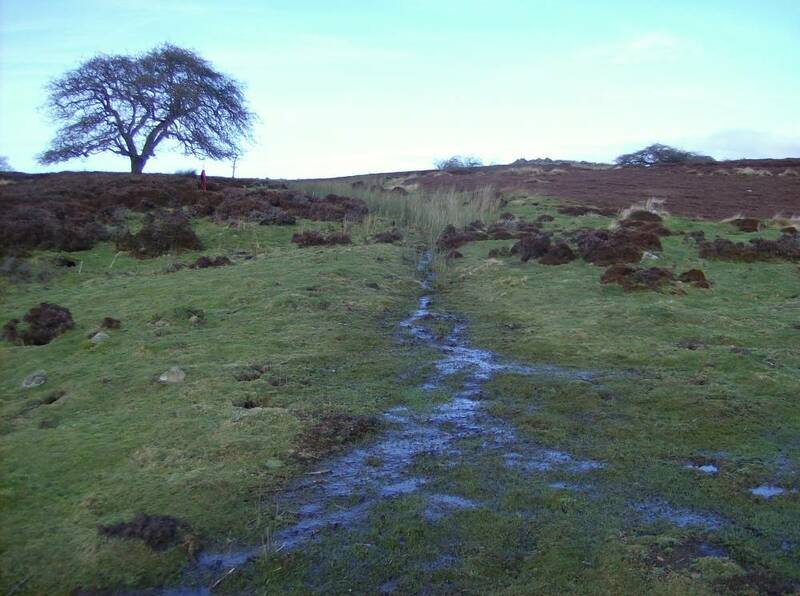 Image 4 Description Bellerby Moor Range. 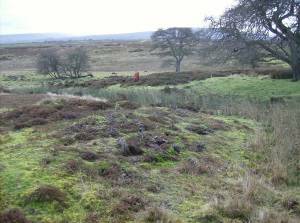 Whiperdale Bank Burnt Mound Sites 2 and 3 from above.